Chaconne Karuizawa（Chaconne輕井澤） is a guesthouse located 15 minutes walk from Karuizawa Shinkansen station.It is 3 minutes walk from 輕井澤 Karuizawa outlet and all 7 rooms are dedicated room with at least 2 beds each. We have a wooden style 100cm wide twin beds in each room. There is a room with 3 or 4 beds for the family. 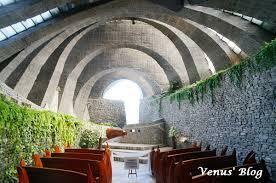 It is an easy access by bicycle to get to the stone church,石之教堂,高原教堂,星野溫泉,村民食堂 and ハルニレ テラス商店 from Chaconne Karuizawa. We welcome travellers who visit from Taiwan,HongKong,China,Europe,US and many other countries and help travelers to feel relax and freshness by staying at Karuizawa. If you see this FAQ and there are further more questions,feel free to ask us in English or Japanese. To look for the vacancy and making a reservation,please push below.